3 nights for the price for 2 from now up until 17th December 2016. How much better could Christmas shopping be? Well let us tell you how it can be your best year shopping…. You can stay with us at the Cottage Lodge hotel for 3 nights and only pay for two. Not only this, but you can also do all of your Christmas shopping in the fabulous Historic City of Winchester; walk through the gorgeous Christmas market and all of the independent huts full of perfect presents. 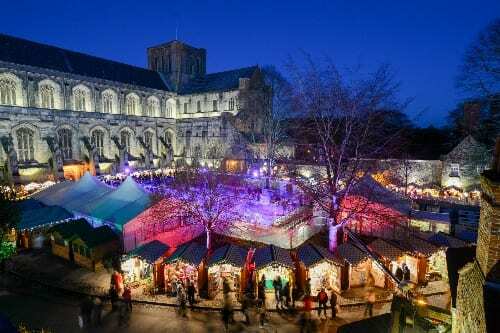 As well as the larger than life, elegantly presented ice rink, right next to the outstanding sight of the Winchester Cathedral. 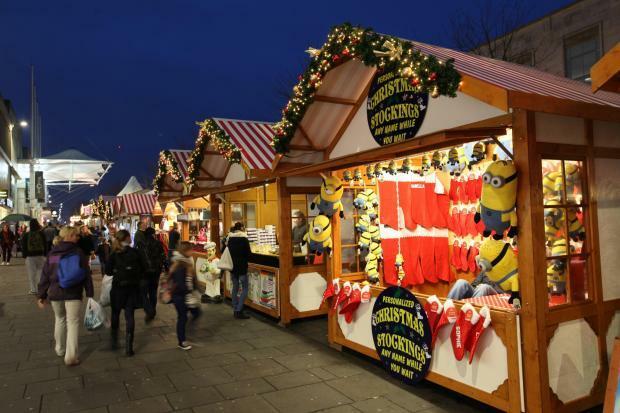 Or travel 15 minutes by train to the City of Southampton, famous for its German market at Christmas time. The ideal place to shop till you drop whilst enjoying the German food on offer and of course, the Beer. A great destination to buy presents for him, her and the family. Perhaps you prefer to see or smell points of the sea… Well Bournemouth is also 15 minutes by train from Brockenhurst. Spend the day in the outside shopping arena and enjoy the open winters air whilst searching for the perfect gift. 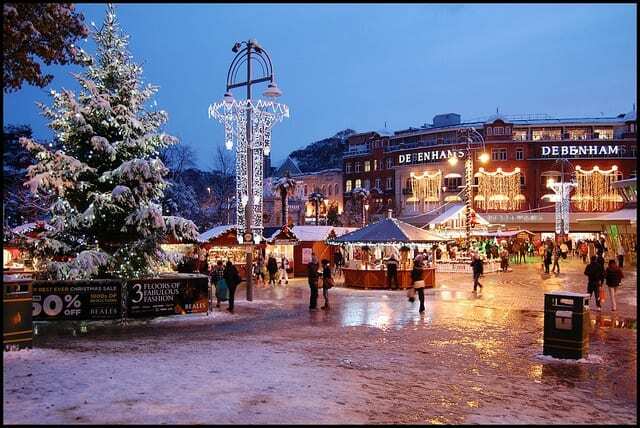 They have an ice-rink and plenty to see and do in the City of Bournemouth. You can enjoy all of this within a 3night stay. Perhaps one of the cities per day. Come back in the afternoon and put your feet up in one of our lovely four-poster bedrooms. Enjoy the peace and quiet that Brockenhurst has to offer, especially after a long hard days shopping. We couldn’t think of a better place to do your shopping that isn’t too busy and still have time to treat yourselves to a few nights away. Tea and cake on tap and a lovely dinner served in the Hotel dining room with a lovely bottle of wine. You can book your stay at the Hotel today by calling 01590 622296 or visit our website and click here. You can also call up to book your dinner reservation with us. Be sure to contact us quickly we only have a limited number of rooms available. 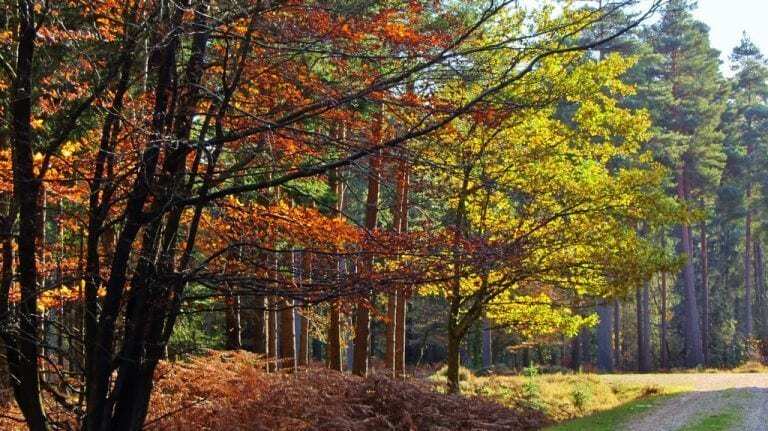 You wouldn’t want to miss out on The New Forest and local cities this December!